One of the winners of this year's Nobel Prize in economics says he ignored two telephone calls, thinking they were spam calls, before the Swedish Royal Academy of Sciences was able to get through to him. 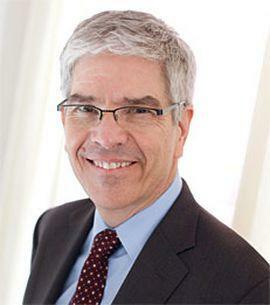 Romer also works with civic innovators as director of NYU's Marron Institute of Urban Management. The university says he founded Aplia, an education technology application where students have submitted more than 1 billion answers to homework problems. He won the prize together with William Nordhaus of Yale University for separate research. They will share the 9-million-kronor ($1.01 million) prize. The current chair of UR’s economics department is George Alessandria. He says Romer was recognized for his work on the economics of technological change. And Alessandria says some of the work that the Nobel Committee cited Romer for was work that he had done at UR back in the 1980s. He says Romer has written influential papers on how economic growth is determined. "The way countries get richer over time is becoming better at producing things and people had been thinking about the countries becoming better...by accumulating more factors of production, more machines, smarter people. Paul kind of turned things around a little bit and said, no, I think what they accumulate is just better technology." This was the second year in a row the Nobel Prize for Economics had a Rochester connection. Last year’s economics prize went to Richard Thaler, an alumnus of the university and he had at one time taught at the university’s business school. Last week, the Nobel Prize for Physics also had a Rochester connection. Gerard Mourou of France and Canada's Donna Strickland had both previously worked in the University of Rochester's Laboratory for Laser Energetics.